The Episode starts with Ronak saying I won’t take notice back, I can’t accept Kajal as my wife, I m sorry Kajal. Gayatri asks have you lost your mind. Sir ji assures that Kajal will become their bahu. Counsellor says the decision is in Muskaan’s hands now, will she take notice back, is she ready to get away from Ronak and this family. Someone looks at the video feed. Ronak asks Muskaan to say, what does she want. Muskaan recalls Aarti’s words. She declares that she will take the notice back and stay as Ronak’s wife. Ronak cries happily. Everyone gets shocked. Muskaan says I don’t want to say anything now. Kajal cries. Ronak hugs Muskaan and thanks him. Bua says I knew you will change your colour, you are greedy. Lovely and everyone scold Muskaan for lying to them. Counsellor declares that Ronak and Muskaan are husband and wife. Someone looks on. Gayatri says I will not believe this decision, this relation, I won’t bless them. Counsellor says this decision is final now, you should welcome Ronak and Muskaan and go their grahpravesh. Kajal cries and goes. Ronak asks Muskaan to come. Sir ji asks Gayatri to just do it. Gayatri unwillingly does their grahpravesh. Muskaan enters the house by following rituals. Kajal comes with matchstick and threatens of committing the suicide. Muskaan and Ronak run to save her. Kajal asks them to just stop. She says I have come here by ruining everything, you chose me as bahu, Ronak chose me as wife, if I didn’t do any mistake and have to go, then I would not go alive. She asks for her rights. Muskaan says don’t do this, I lost my mum to fire, I don’t want anyone innocent to die. Kajal says no, I have no way now. She ignites fire to her dupatta. They shout. Ronal throws away her burning dupatta and saves her. He asks are you mad. Kajal says yes, I m mad in your love. He says its not possible. She hugs him and says don’t go away from me. Sir ji says law comes later, emotions come first, you have to change your decision, the entire family will get burnt. Gayatri hugs Kajal. Sir ji argues with counsellor. He says give me some time so that they can decide it well. She says fine, I will keep a woman officer here, you have to support both Muskaan and Kajal, and keep them well, you shouldn’t compel them. She scolds Kajal for her suicide attempt. Kajal goes and recalls how she kept a phone to record everything. She takes her phone and calls someone, who asks her not to lose and stop the decision by risking life. He says we just have to scare them, Ronak won’t let anything happen to you. She agrees and works out her plan. FB ends. Counsellor asks the lady to observe Muskaan and Kajal. Tabassum comes to take Muskaan. Sir ji tells Mrs. Sinha that Muskaan is a brothel girl, how can she become his bahu. 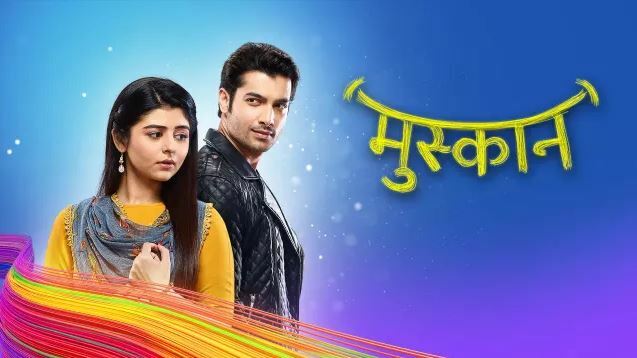 The post Muskaan 1st March 2019 Written Episode Update: Muskaan accepts Ronak as husband appeared first on Telly Updates.